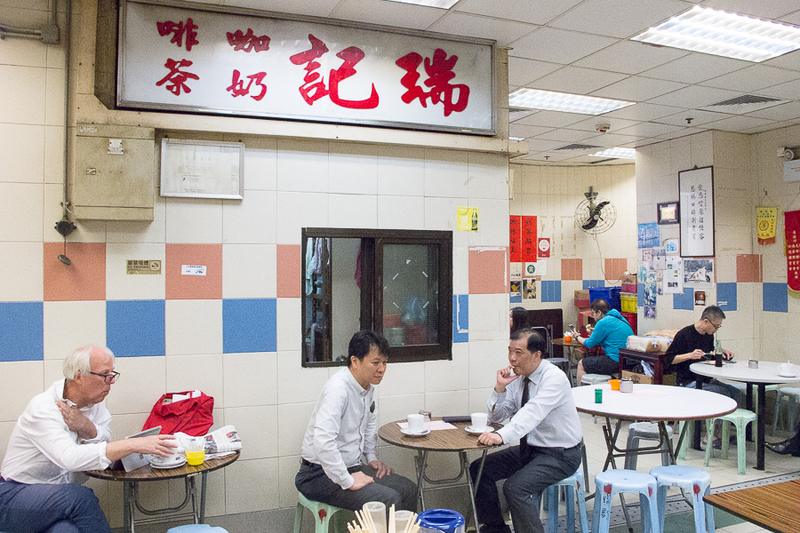 [Hong Kong] Tucked away on the 3rd level, cooked food section of a wet market, Shui Kee Coffee 瑞記咖啡 is a hidden spot known only to locals. 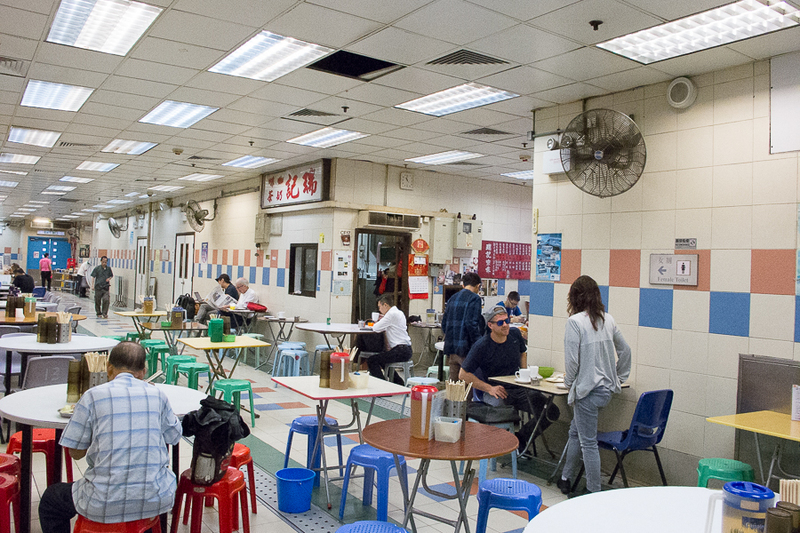 No-frills, local “hawker-centre” style, it is run like a mom-and-pop shop whereby the owner single-handedly prepares everything after you place the order. Which also means patience is required as the friendly owner can get quite busy trying to prepare food while taking orders in between. 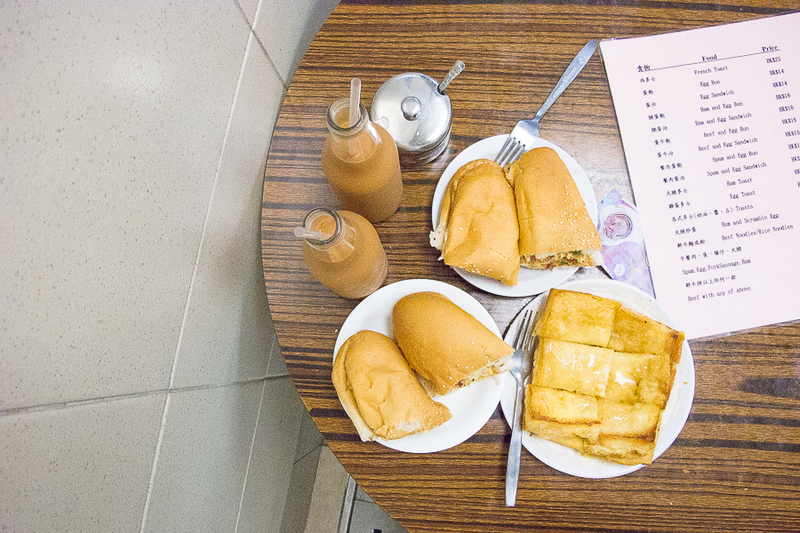 Maybe there is an occasional “gweilo” (local slang for Caucasian) who knows the good stuff, sipping hot milk tea with a plate of sandwich. 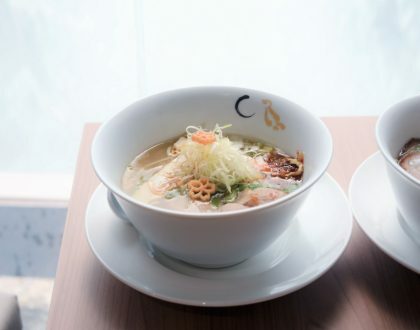 The very short menu features local comfort food items like instant noodles, sandwiches and buns with your choice of ham, spam or egg as well as the usual local Hong Kong style beverages. 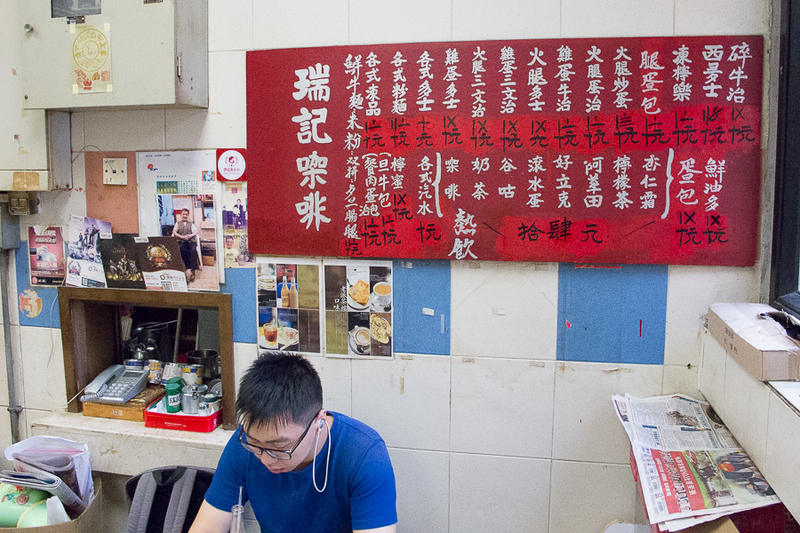 I followed the local’s recommendation and ordered the Beef and Egg Bun (HKD16, SGD2.80). 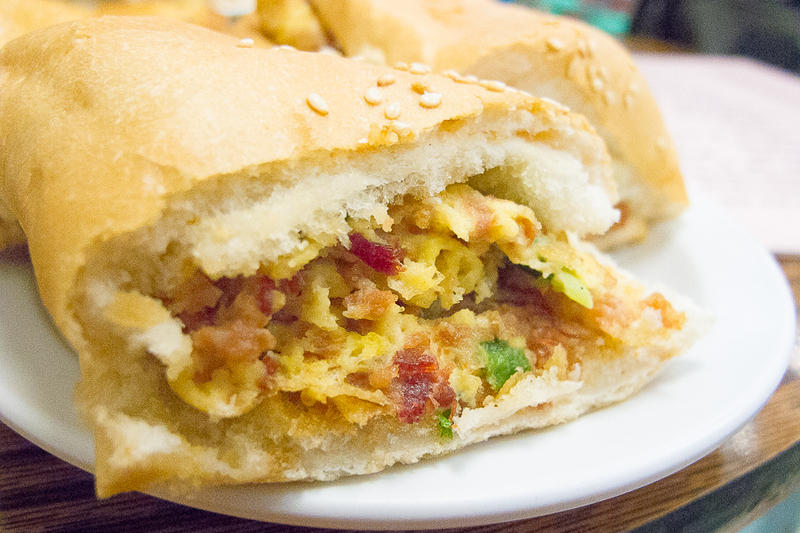 This is a breakfast item of corned beef and chopped spring onions in an omelet, sandwiched between a soft toasted bun. Not bad though wasn’t anything particularly great to shout about. 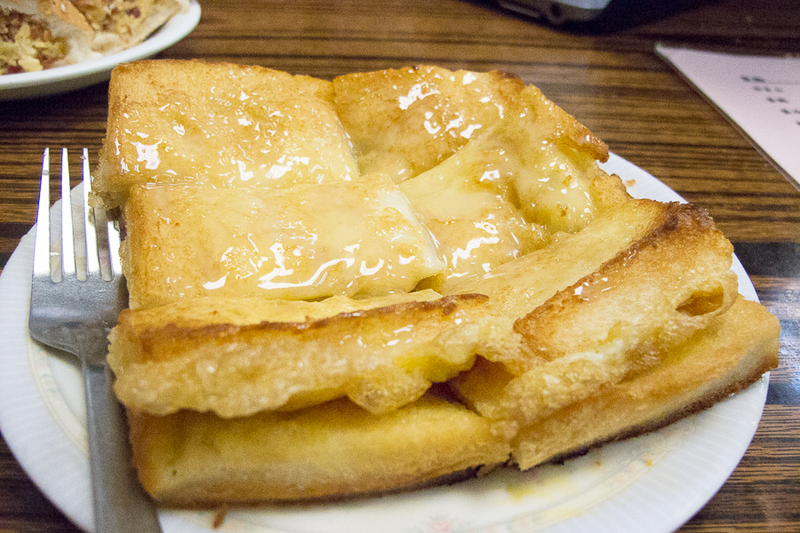 The real star here is actually their French Toast (HKD25, SGD4.40), the edges are deliciously crispy with the toast still moist and buttery. 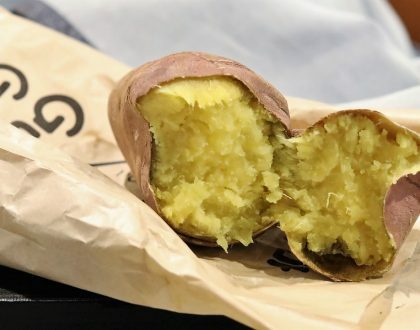 Drizzled with condensed milk, this is quite sinful but totally worth it. 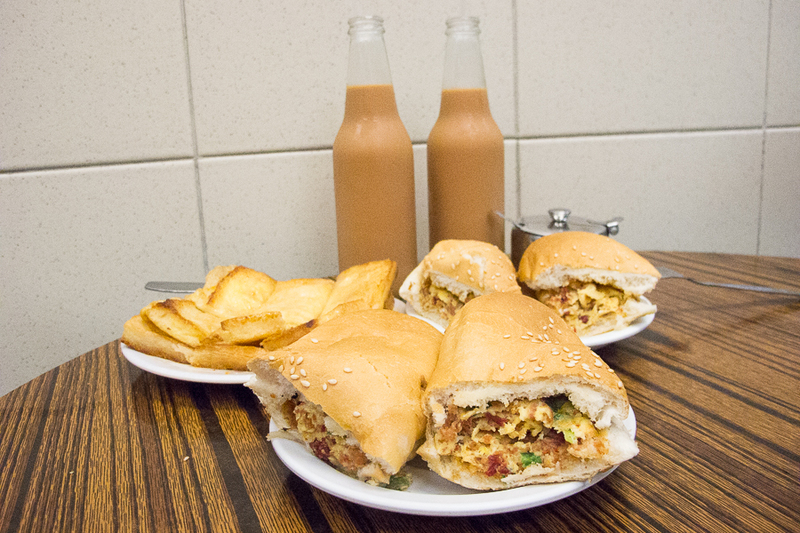 Wash down all that grease with their Bottled Iced Milk Tea (HKD16, SGD2.80) served in a nostalgic glass bottle. Although not one of the best milk teas in Hong Kong, the version here is not too bad if you prefer your milk tea lighter on the milk ratio. 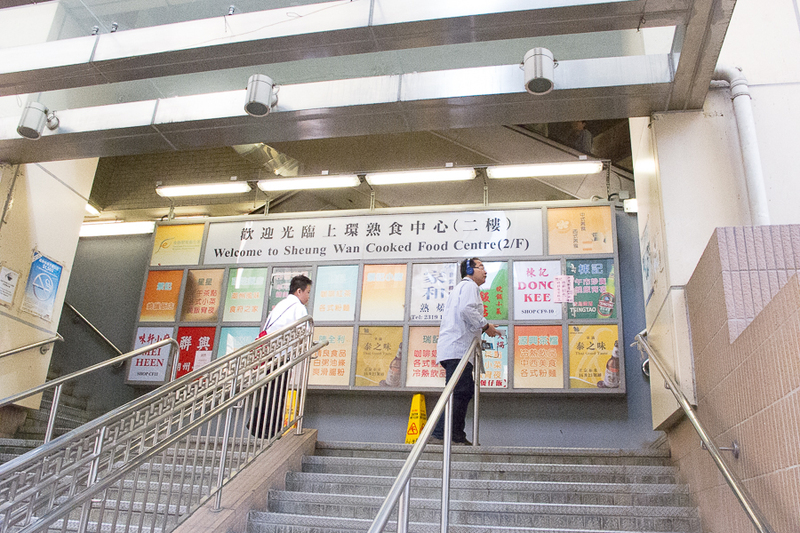 The food centres in Hong Kong are not free seating, unlike the ones in Singapore. You basically seat yourself on the designated tables that belong to the food stall you are ordering from. 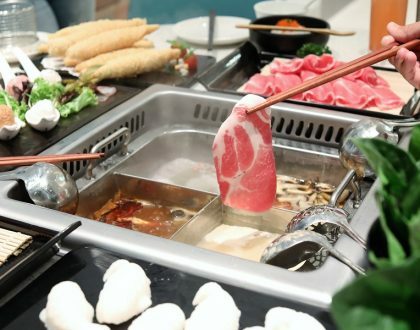 Hence, look out for the tables with Shui Kee’s menus to avoid settling into the wrong table.